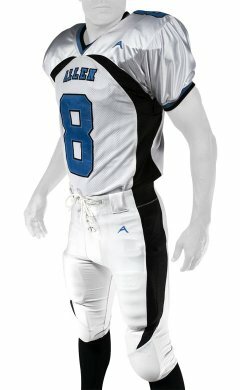 Look no more if you are in the search of top-quality football uniforms. 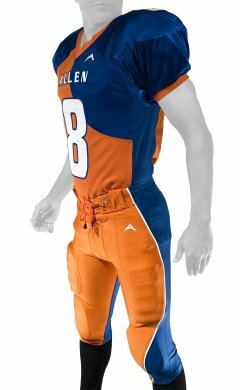 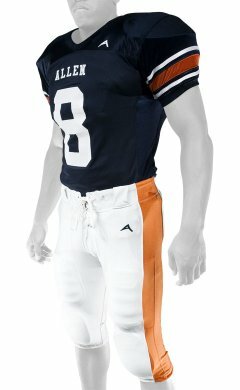 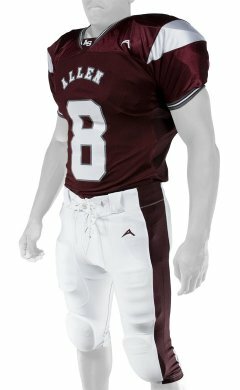 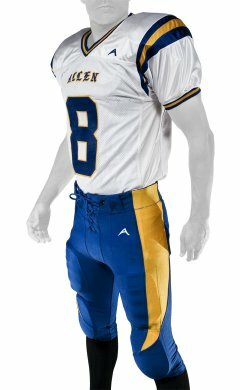 We, at Allen Sportswear, leave no stone unturned when it comes to offering exceptional quality football team uniforms. 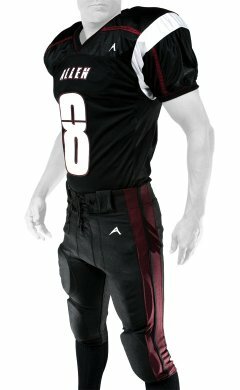 We also offer a facility to design custom football uniforms. 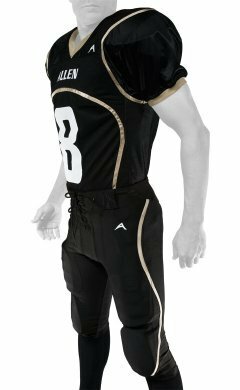 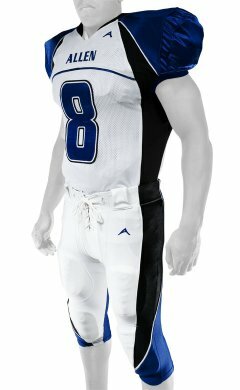 All our uniforms, whether they are youth football uniforms or kids football uniforms, are made of high-quality fabric that provides players with comfort in all seasons. 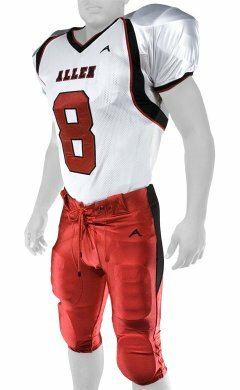 As we control the production directly, you can rest assured the quality will be unparalleled. 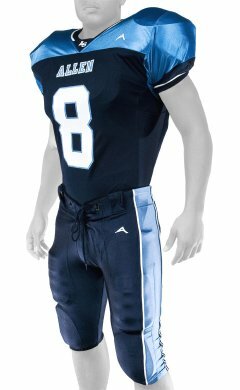 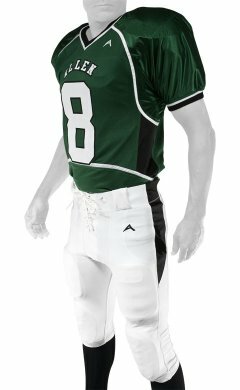 Football Uniform Promotions Pro Football uniforms Football Uniforms, football jerseys, reversible football uniform, reversible football jersey, custom football uniform, custom football jersey, Onside Kick, Mike, Sam, Will Linebackers, Run and Shoot. 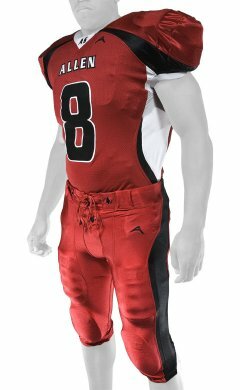 Red Zone, Safety. 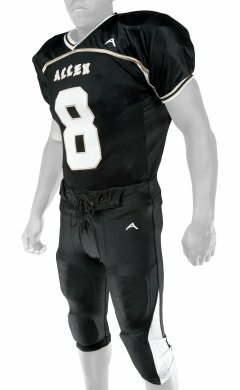 Shotgun, Bull Rush. 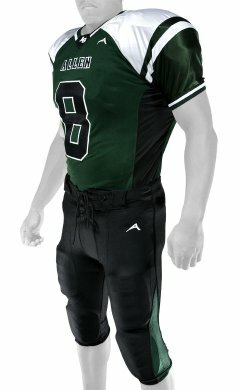 Nickel and Dime Packages. 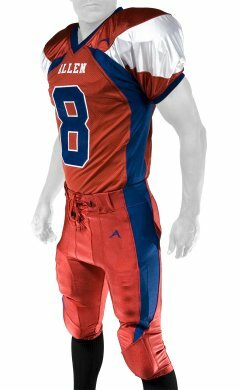 Gridiron, Halfback, Pigskin, Horse Collar Tackle, Pooch Punt, Audible, Gunner, Squib Kick, Wildcat, Flea Flicker, Blitz, Super Bowl, Sack, Line of Scrimmage. 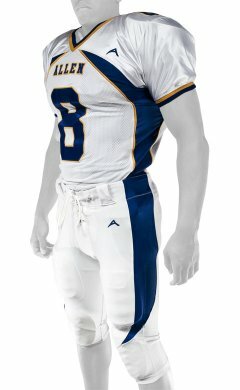 Icing the Kicker, Coffin Corner, Hail Mary, 1st Down. 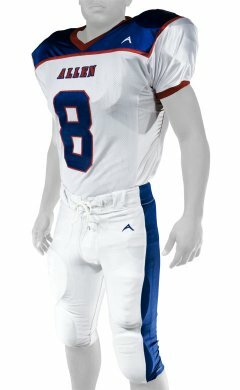 3-4 Defense, 3rd And Long, 53-Man, 8 In The Box, Jersey, Helmet. 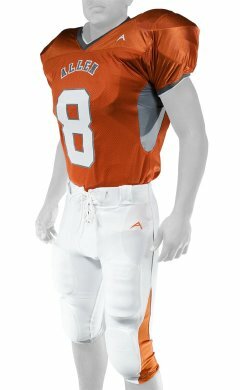 face mask, chin strap, air filled interior pockets. 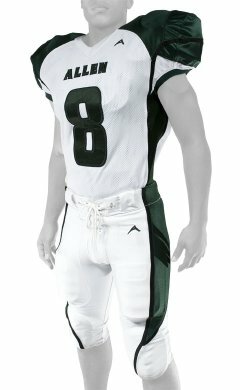 face masks, sunshade, football pads, cleats.